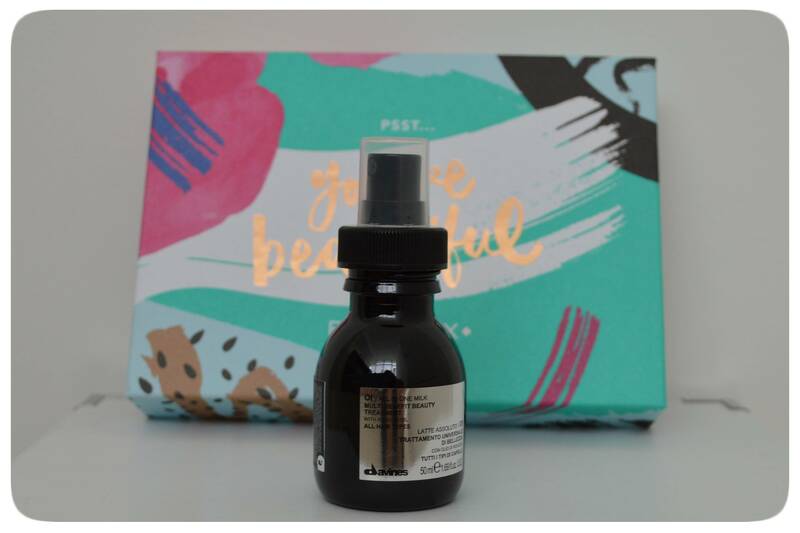 This month Birchbox celebrates 5 years. 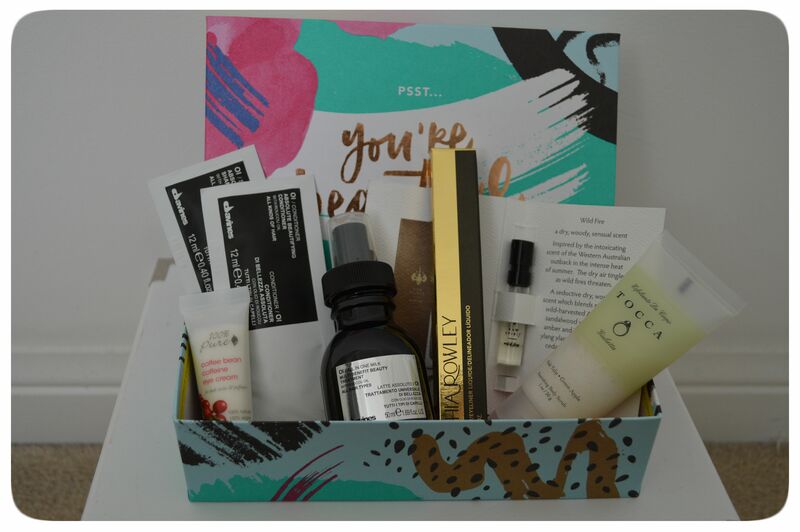 This month’s box read “PSST – you’re beautiful” and I believe that the theme this month is feeling beautiful inside and out. As the product name states this is an under eye cream. 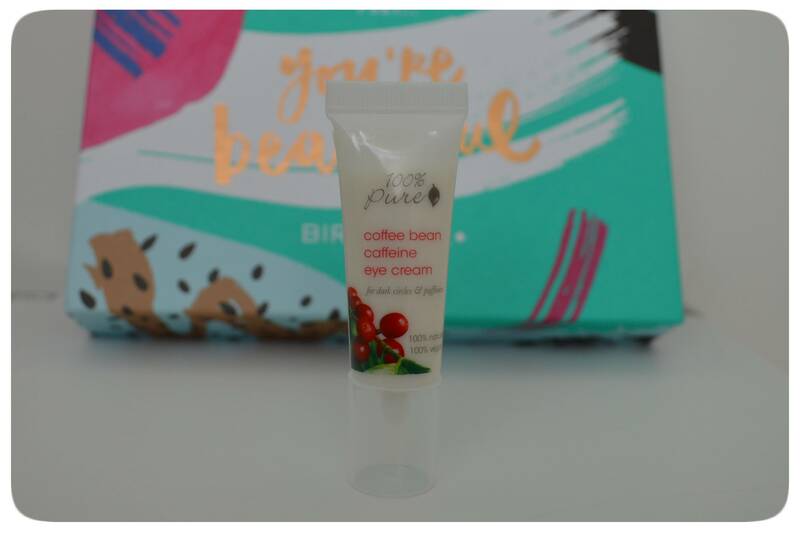 I have issues with dark circles and fine lines so I’m looking forward to using this :). I really also like that it is 100% natural and vegan, it’s nice to see that all the ingredients are natural. I really like the pigmentation of this blue and how nicely it came on when I swatched it on my hand. 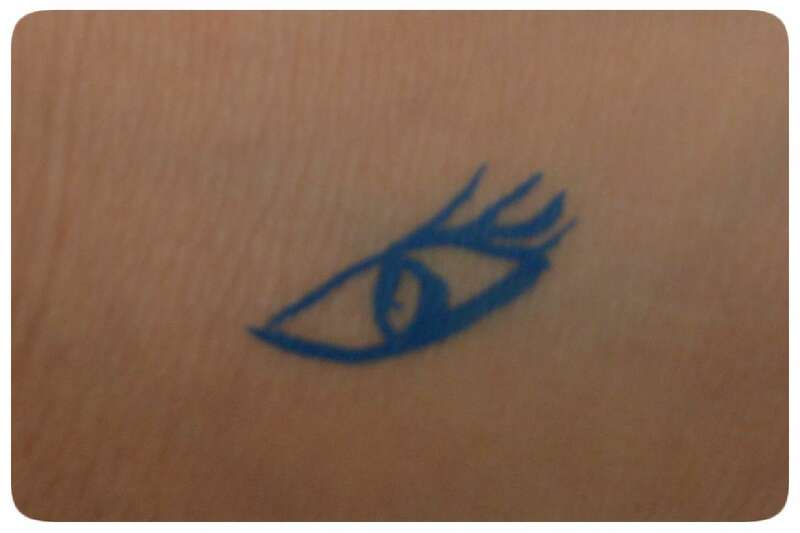 This liner is pretty precise so I’ll be able to create a really pretty winged liner with it. This is a leave-in treatment to add volume, shine, heat protection and it detangles. I love hair treatments because I am struggling with really dry and damaged hair. I am really excited to try this out. It has this sweet perfume smell that I really like in my hair. I put one pump through my hair and it instantly felt softer. This perfume sample has a super strong woody aroma, and is very musky. This scent is supposed to be unisex, but for me it smells more masculine than I would like on myself. I don’t think I will be using this at all, I really don’t like this smell. This exfoliant is sugar-based. 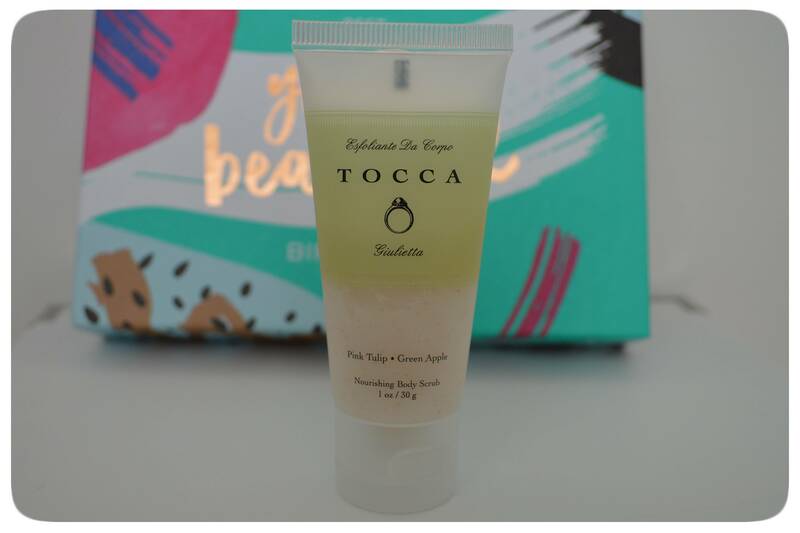 I love body scrubs! So happy I received one in my box this month. It has a super amazing smell as well. The scent is tulip and green apple which is actually a really wonderful combination. 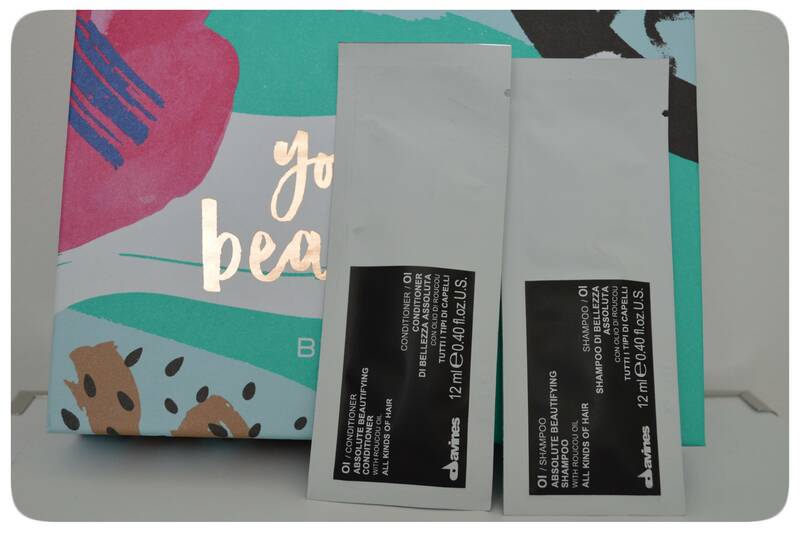 I really like that Birchbox included a matching shampoo and conditioner to the Daviness All in One Milk that way I can try them all out together to see how well it all works. I’m very happy with this box. It’s full of products that I feel I really need which is awesome, it’s like Birchbox read my mind with these products. I also like receiving bonus products in my box. The only item I’m not excited about is the perfume. Total Value of my box is $52.72. 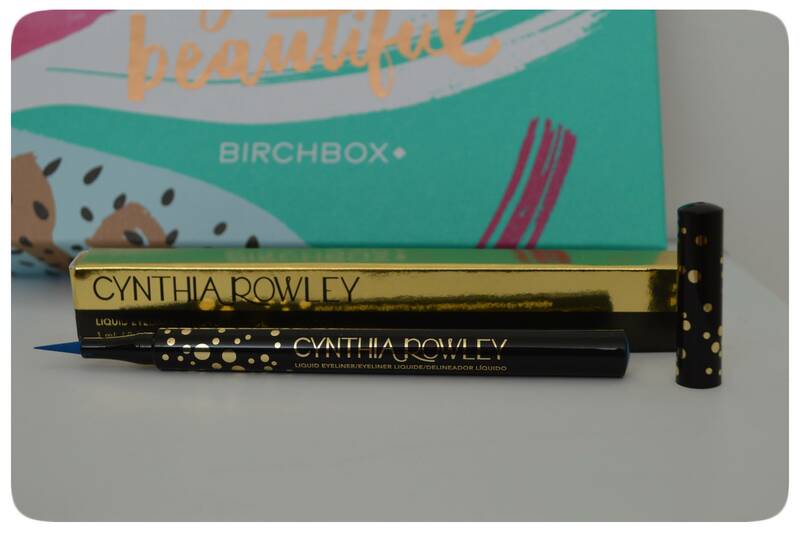 What did you think of Birchbox this month?